Will We See A New Meteor Shower? Some computer models indicate that the Earth may pass near decades old debris left behind by Comet Wirtanen in mid December, creating a new meteor shower. In the most optimistic scenario, viewers could see as many as 10-30 meteors per hour radiating from a point in the constellation Pisces in the early evenings, sometime between December 10 and 15. This time period also includes the peak of the strong annual Geminid meteor shower, so skywatchers have a chance of a “meteor night” after sunset on December 13; meteors from the new shower (if any) will be visible in the early evening, with the Geminids making their appearance later on and lasting until dawn. Comet Wirtanen was discovered in 1948, just after World War II, and takes 5.4 years to orbit the Sun. It is a Jupiter family comet, with a perihelion (closest point to the Sun) just outside Earth’s orbit. 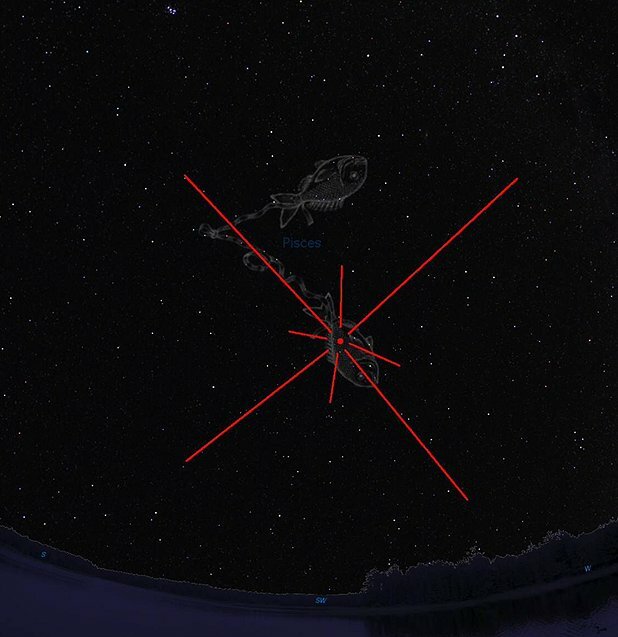 This graphic depicts the position of the constellation Pisces in the southwestern sky at 8 PM local time. The red dot shows the location of the radiant of the possible new meteor shower. Author Marshall Space Flight CenterPosted on November 30, 2012 May 23, 2013 Categories UncategorizedTags General2 Comments on Will We See A New Meteor Shower? There are numerous reports of a bright fireball over northwest Alabama on Sunday, Nov. 18 at approximately 7:30 p.m. EST (6:30 p.m. CST). Southeastern cameras managed by NASA’s Meteoroid Environment Office recorded the fireball, which was brighter than the moon. The image above is from the Marshall Space Flight Center camera. The moon is the bright object at the bottom right, and the fireball is the REALLY bright object. Even though this was a very bright fireball, the meteor fragmented too high in the atmosphere to produce meteorites on the ground — very spectacular, but nothing of substance survived. 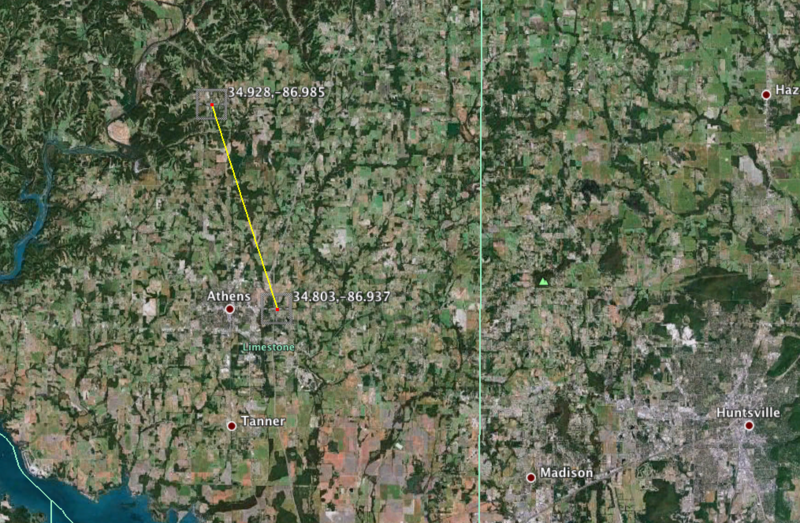 The fireball appeared 49 miles above the Alabama/Tennessee state line just north of Athens, Ala. It disintegrated 28 miles above Ole Carriage Dr., just east of Athens. A map of the meteor trajectory appears below. 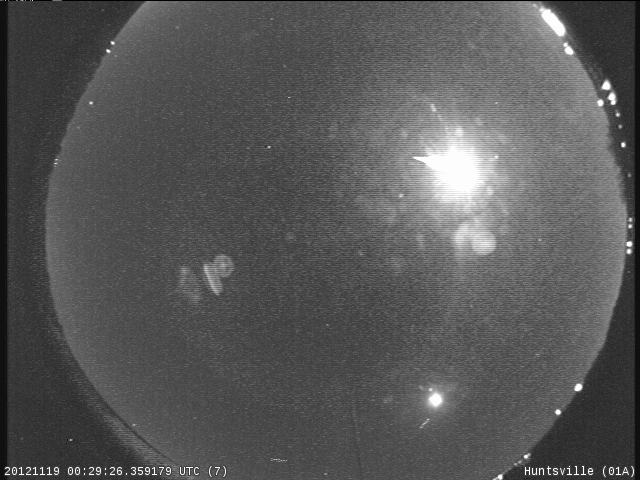 This may very well be the brightest fireball we have seen with the Marshall Center camera! 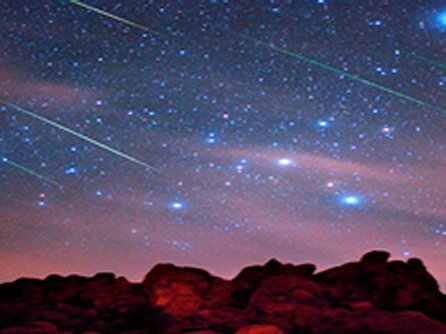 This year’s Leonids meteor shower peaks on Nov. 17 at 4:30 AM Eastern Time. If forecasters are correct, the shower should produce a mild but pretty sprinkling during the night of the 16th/morning of the 17th. The moon will be a waxing crescent setting before midnight, clearing the way for some unobstructed Leonid viewing. “We’re predicting a normal year of 15 to 20 meteors per hour” says Bill Cooke of the Meteoroid Environment Office at NASA’s Marshall Space Flight Center. 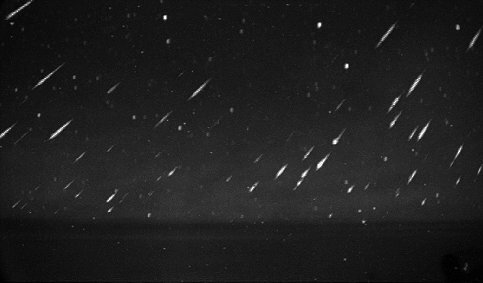 Leonids are bits of debris from Comet Tempel-Tuttle. Every 33 years the comet visits the inner solar system and leaves a stream of dusty debris in its wake. Many of these streams have drifted across the November portion of Earth’s orbit. Whenever our planet hits one, meteors appear to be flying out of the constellation Leo. For best meteor viewing Cooke suggests going to a location away from city lights, dressing warmly, and lie flat on your back and look straight up. No special viewing equipment needed — just your eyes. The Leonids occur each year in mid-November.